Eat Like the Stars: ZaSu Pitts’s Pralines! Actress ZaSu Pitts really loved to make candy. She regularly conjured up delicious molasses taffy, squidgy pillows of marshmallow, and the “little black dress” of the candy maker’s art: soft, white balls of fondant. Strong friendships were sealed with boxes of homemade sweeties, and she rarely tripped along to the studio without her old string market bag bulging with boxes of caramels, panocha, peanut brittle, or coconut creams. She was the Willy Wonka of early Hollywood. 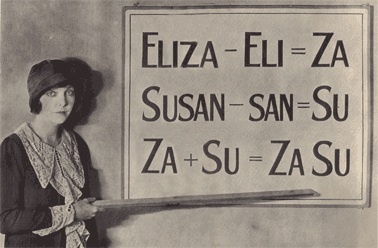 If you can score a copy of ZaSu’s Candy Hits cookbook I almost guarantee that like me, you will immediately resolve to start making all kinds of candy in order to impress your nearest and dearest. A loved one’s birthday? How about some Creamy Opera Fudge? 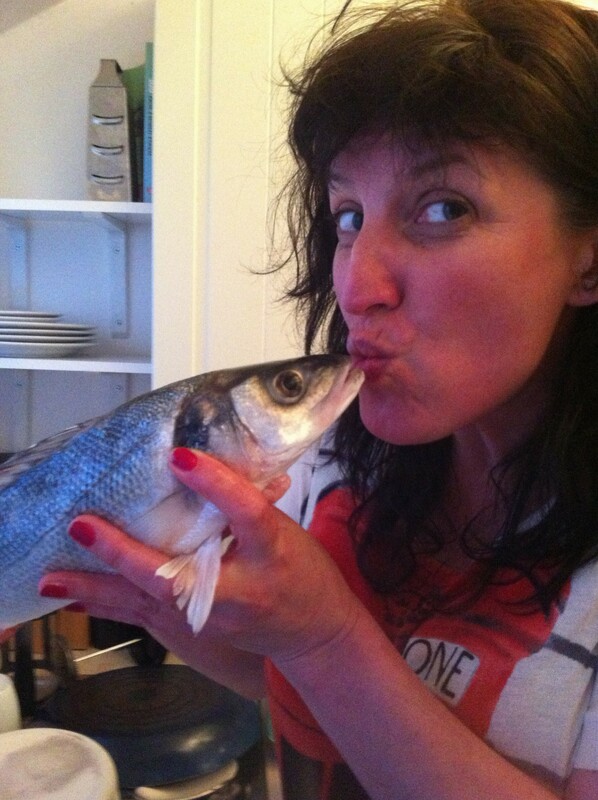 Wedding anniversary? Coconut Kisses would be perfect. The festive season? Why not make some Christmas Lollipops to hang on your Christmas tree in brightly colored cellophane? I was full of big ideas like this when I bought Candy Hits about 15 years ago. It’s been loitering on my bookshelf ever since. I’ve only gotten around to making one thing from it, these pralines. But I’ve got a renewed impetus now— Dessert Date Snowballs, here I come! What good are sweets without tea? 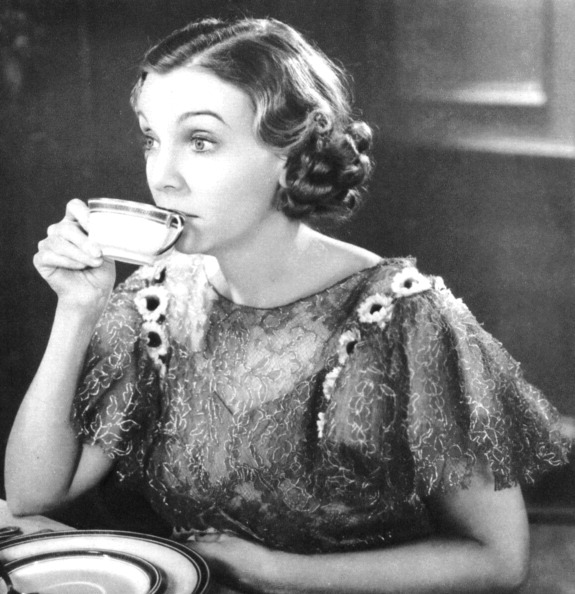 Here’s ZaSu having around a sip, around 1934 or 1935. Credit: The Print Collector/Getty Images. Combine the sugars, water, and vinegar in a heavy three-quart saucepan. Cook to soft-ball stage (236F). * Add butter and pecans. For a deep color, I like to add a few drops of red food coloring. Remove from heat. Immediately beat till mixture starts to thicken and become cloudy. At that moment, quickly drop by heaping tablespoons onto buttered waxed paper or foil. Cool. Pralines are granular by nature, so don’t cool syrup before beating. For uniform pralines use oiled or buttered praline molds. To make cold-water test: Pour cold water (not ice cold) into a small bowl. Remove candy from heat while making test. Immediately spoon a few drops of syrup into water. Shape drops into a ball. The firmness of the ball indicates the temperature of the syrup. * For soft-ball stage, the hot syrup makes a soft ball which flattens when removed from the water. 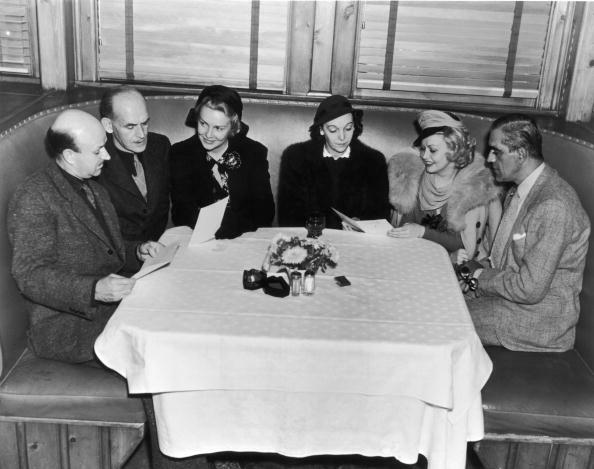 ZaSu (third from right) was known to attend a charity luncheon or two. Here she is a with a jovial group that includes (far right) Boris Karloff. Credit: General Photographic Agency/Hutton Archive/Getty Images. Enjoy sprinkling some ZaSu-style stardust around your kitchen! ZaSu and Thelma Todd were a very popular comedy team in a series of funny short films. Sample a few here. This entry was posted in Columnists, Eat: Recipes, Films and tagged Casey Ruggles, Jenny Hammerton, ZaSu Pitts. Bookmark the permalink.